Please complete the form below and your enquiry will be sent directly to Gansbaai Courant via email. Your enquiry has been sent to Gansbaai Courant. Join local teams for the International Coastal Clean-up on Saturday, 16 September. Let's keep litter off our beaches and out of the sea by thinking twice before using plastic straws. Let’s be mindful of where cigarette butts are thrown. Let’s get into the habit of carrying re-usable shopping bags with us. Let's all do our part in keeping our communities clean. Let’s look after our environment and save the planet one bag at a time! Because what ends up in the stomach of a fish can also end up on your dinner plate! Dedicated wildlife enthusiast, Sue-Ann Shutte, explains it best in the George Herald: “Plastic is made of chemicals that are poisonous to marine life and us. Plastic pollution affects more than 600 species of marine animals and South African seabirds are among the worst affected in the world." “Enough plastic is thrown away each year to circle the earth four times. Not biodegradable, an ordinary plastic container can take anywhere between 50 and 100 years to degrade, and some will never degrade. "Pollution on beaches has serious visible effects on the surrounding environment, but what most people do not see, are the effects it has on marine animals and their ecosystems. Of all the types of pollutants that make their way into the marine environment via littering, plastic is the worst. "Naturally, marine animals are affected by litter disposal on beaches which land up in their environment. As most marine mammals are inquisitive by nature, they will swim through plastic and rope to get a closer look and it can ultimately cause cruel injury or death. “Another more lethal way in which litter affects marine animals, is through ingestion. Even very tiny animals will consume minute pieces of plastic which look no different from plankton due to their small size. The ultimate tragedy is that by eating indigestible materials the animal will feel full and eventually starve to death. "Seabirds are naturally curious and will eat anything. One of the biggest problems we are faced with, is when marine birds eat fish heads that still have a hook inside the mouth and are often connected to a length of fishing line and a sinker," says Shutte. There will be clean-up parties doing their bit for the environment all along the Overstrand coast. Why not join one of the clean-up parties from 08:30 to 11:30 at a beach near you? Everyone is welcome to participate in the beach clean-ups. 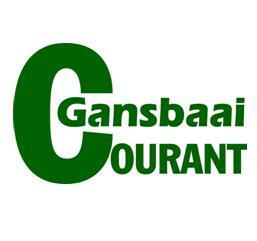 Gansbaai Courant provides the Gansbaai community with the latest in news and interesting stories about and around the area. Annually, the world unites in a coastal clean-up initiative.